Delhi sought British expertise for Operation Blue Star and Britain was forthcoming despite knowing fully well that it would be tantamount to a partisan role in a fratricidal strife in a foreign country. But the damage has been done. The genie is out of the bottle, as it were. What emerges is that Delhi sought British expertise for an operation against Indian citizens on Indian soil and Britain was forthcoming despite knowing fully well that it would be tantamount to a partisan role in a fratricidal strife in a foreign country. No doubt, prima facie, what is most impressive must be stated at the outset – namely, the accountability of the British parliamentary system. 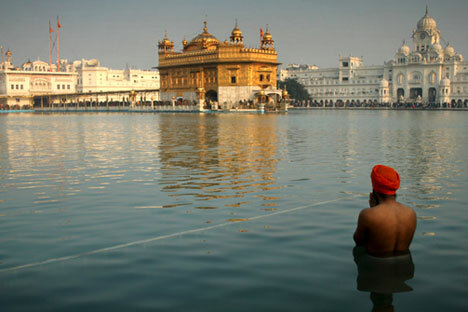 A Member of Parliament sought information regarding Britain’s role in the Operation Blue Star and the truth diggers of the establishment began working promptly and dug up the facts lying hidden in the vast British archives. Indeed, they dug deep, as the documents that have been declassified testify. At the same time, a lurking suspicion also surfaces. Would the same transparency and honesty and diligence have been applicable if the topic were, say, Britain’s own military operations against the Irish Republican Army in Northern Ireland? But on the other hand, the sensitivity of the issue of Operation Blue Star for Britain cannot be minimized, either. Britain has a Sikh community and there were radical elements in that community who empathized or even supported and participated in the separatist activities of the so-called Khalistanis (Sikh extremists), which led to Operation Blue Star. What is utterly fascinating is the skill and dexterity with which Hague distances Britain from the Operation Blue Star on purely technical grounds to the effect that ultimately, it was a authentically Indian military operation, since the Indian military didn’t conform to British expert advice but devised their own operational strategies. There will be continuing speculation about Britain’s motives. The principal amongst the possibilities is that Britain conceivably went out of the way to be on the ‘right side of history’ by helping the Indira Gandhi government with expert advice because London was also negotiating at that time a lucrative arms deal with Delhi. Hague of course repudiates the very suggestion of money, but this will remain a grey area, given Britain’s traditionally notorious marketing methods for its arms exports in other regions such as the Persian Gulf. Can Britain, which has been famously described by Napoleon as a nation of shopkeepers, convincingly make out a case that lucrative business cannot influence its decisions? The controversy of the British role in Operation Blue Star is unlikely to blow over just like that. The British government has begun damage control with the Sikh community, which understandably feels agitated. In India, too, this controversy becomes grist to the mill of party politics in the run-up to the parliamentary poll in April. The anti-Sikh riots in India in the aftermath of the assassination of Indira Gandhi already figure as a potential campaign issue. However, what militates at the end of the day is why even after some 30 years, Delhi chose to keep mum on the issue. Indeed, India lacks a culture to regularly declassify its archives, although it takes pride as an open society and a democratic country. A nation cannot mature unless it can comprehend its current history. The fact remains that the understanding of Indira Gandhi as an iconic national leader of independent India cannot be the same again after Hague’s oral statement at the House of Commons admitting that her government took Britain’s help in mounting the Operation Blue Star.